Aviation industry is a high-tech industry, a large number of the development of frontier science and technology, USES all kinds of high strength materials, development of WuYuLiang shaping technology, precision and ultra precision machining technology, flexible manufacturing line, precision manufacturing technology. The heat treatment of these materials requires that the vacuum heat treatment furnace is of high quality and high adaptability. Has more strict, heat treatment process is used in a variety of the most advanced heat treatment technology and vacuum heat treatment furnace, the aviation industry, the main trend is to develop the following several kinds of new technology of vacuum heat treatment. One, the vacuum gas quenching technology: the use of vacuum heat treatment furnace to vacuum pressure gas quenching process of workpiece, improve the cooling performance, control the heating and cooling, developing better hardenability materials and gas recovery technology, etc. Second, vacuum carburizing, vacuum chemical heat treatment: using vacuum carburizing furnace vacuum carburizing treatment, improve the vacuum carburizing technology, developing other vacuum chemical heat treatment technology, vacuum chemical heat treatment of sensor technology. 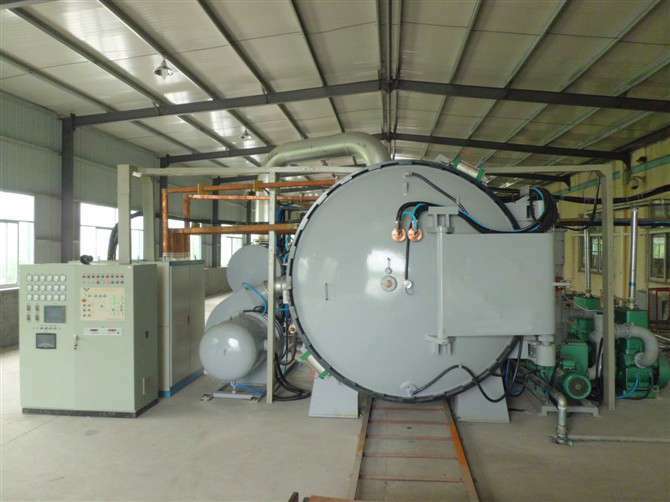 Three, vacuum heat treatment furnace is vacuum heat treatment: this technology is vacuum magnetic heat treatment, vacuum hydrogen heat treatment, vacuum welding and heat treatment combination. Four, vacuum atmosphere heat treatment of vacuum heat treatment furnace: the technology is aimed at high temperature and vacuum heat treatment elements and double dilution performance parts of vacuum heat treatment, vacuum/atmosphere heat treatment of controlled cooling technology of research. Five, develop vacuum heat treatment production line and flexible technology, improve automation and intelligent level, cooperate with various cold and hot processing production lines, and adapt to the development requirements of advanced manufacturing technology.